Can The New Camberwell Junction Become Melbourne's Times Square? Camberwell could be home to a new town square through the reconfiguration of Camberwell Junction in a plan that has a Boroondara councillor's support. Public comment is being sought by Urban design firm Alexander Urbanism who has released detailed plans with encouragement from the local ward councillor. Camberwell Junction is a major six-way intersection at the southern end of the Camberwell shopping centre in Melbourne’s inner east. The plan shows the Junction as a standard four-way intersection. North of the intersection, Camberwell Road becomes a pedestrian street, while to the south it becomes a tram superstop and public open space. 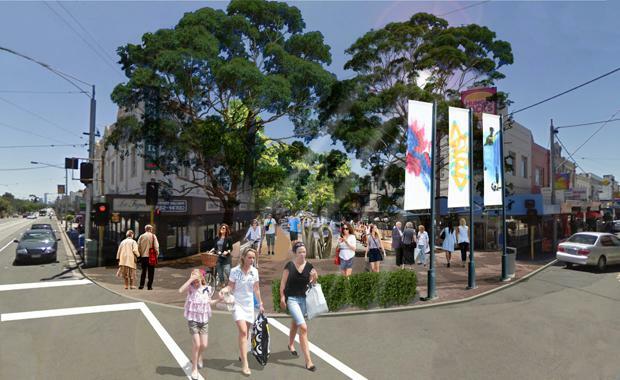 The pedestrian street would include a town square, playground, trees, art and outdoor dining. The square could be used for community events, including outdoor art shows and public meetings. Designer Nathan Alexander said the concept had tremendous potential. At present, the Junction is congested, handling approximately 38,000 vehicles a day. 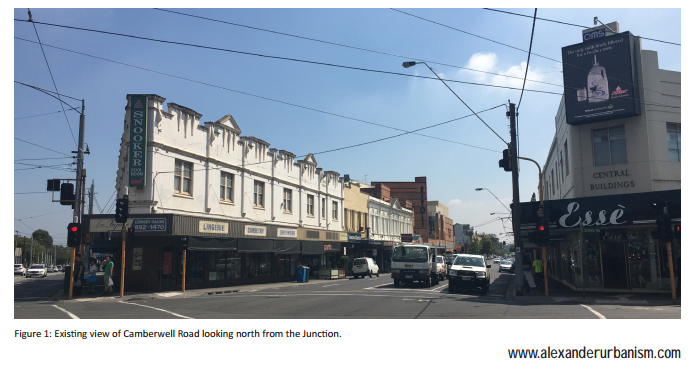 According to the proposal's transport planner Cameron Martyn, simplifying the Junction intersection will improve traffic flow on Burke Road and Riversdale Road, while motorists current travelling on Camberwell Road have a choice of alternative routes. “With only two roads intersecting, the traffic lights will be green for longer. With more green time, more traffic can pass through the intersection. 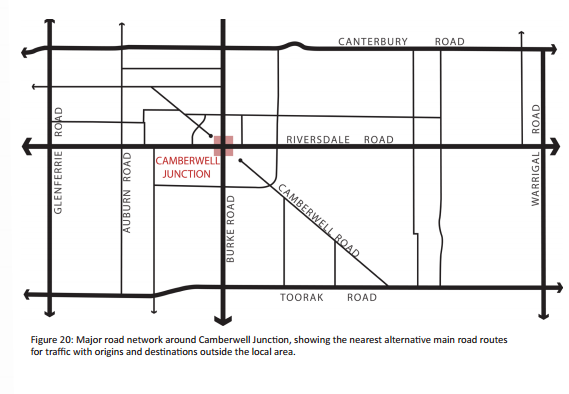 This plan makes the Junction more efficient and safer for all users – pedestrians, cyclists, tram users and motorists.” Camberwell Junction falls within Junction Ward of the City of Boroondara. Ward councillor, Cr Jack Wegman, is enthusiastic about the idea.